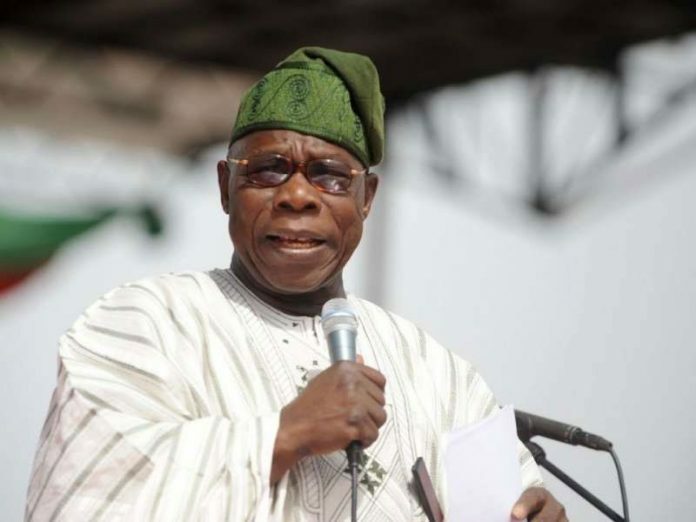 Former President, Chief Olusegun Obasanjo, Saturday described President Muhammadu Buhari’s delay in signing the African Continental Free Trade Area (AfCFTA) as a sign of weakness by the president. Obasanjo said this on Saturday while speaking at the second Babacar Ndiaye lecture series organised by Afreximbank in Bali, Indonesia, on the sidelines of the ongoing IMF/World Bank Annual Meetings. “We now have the Continental Free Trade Agreement which is a good idea and I can assure that Nigeria will soon sign. “Hopefully we will soon have a president who will be able to sign because the president that is there now, his hands are too weak to sign,” he added.